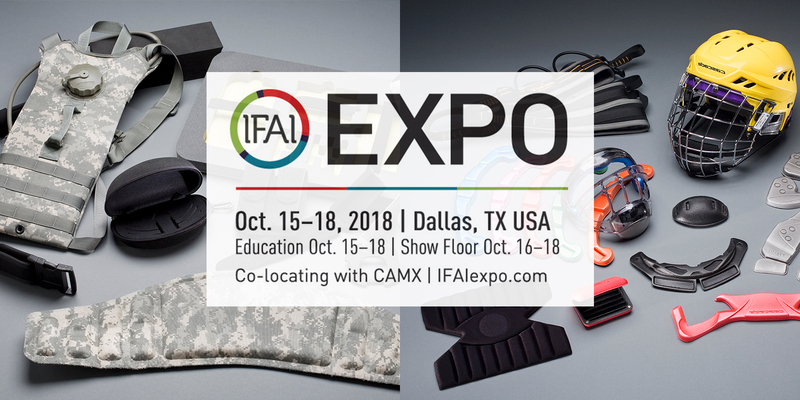 October 2, 2018 – Newburyport, Massachusetts - UFP Technologies, a producer of innovative, custom-engineered composites for the military, medical, consumer, and industrial markets, will be exhibiting at the IFAI Expo from October 16-18 in Dallas, TX at booth A-3130. UFP Technologies will be showcasing a variety of solutions which feature our unique ability to join and encapsulate advanced fabrics, films, plastics, gels, and metals. Our application specific solutions are custom engineered for each customer’s unique requirements which can result in improvements to structural integrity, load dispersion, rigidity, or patient comfort. IFAI Expo is the country’s largest specialty fabrics, advanced textiles, and composites show, uniting industry leaders to discuss end-user applications, emerging markets, advanced technologies and the future of fabric products. Click here to register. Use code EP207 to receive free show floor registration or 15% off full registration.